Have I ever mentioned my mom is a genius? Well, she is! She discovered this shop where they sell the best lamb in town and the best of it all is that it is very inexpensive. So, this weekend we are going to treat ourselves with some delicious lamb chops. Usually, I marinate them overnight in a combination of white and red wine, pressed garlic, olive oil and rosemary. Then, I saute them on a very hot pan, put them on a dish and them bake them for a bout 20 minutes in the oven at 350F so they are cooked evenly. Do you like lamb? In case you've never considered it, lamb is a great meat to be used in festivities like Christmas and Easter. Also, the meat is very tender, juicy and healthier as the sheep are usually raised in farms on a grass and hay based diets. 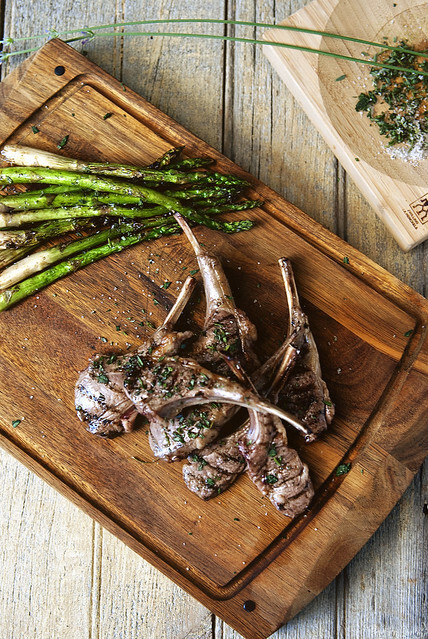 When buying lamb chops, trim the fact around them so you can reduce the caloric intake and eat a healthier meat. 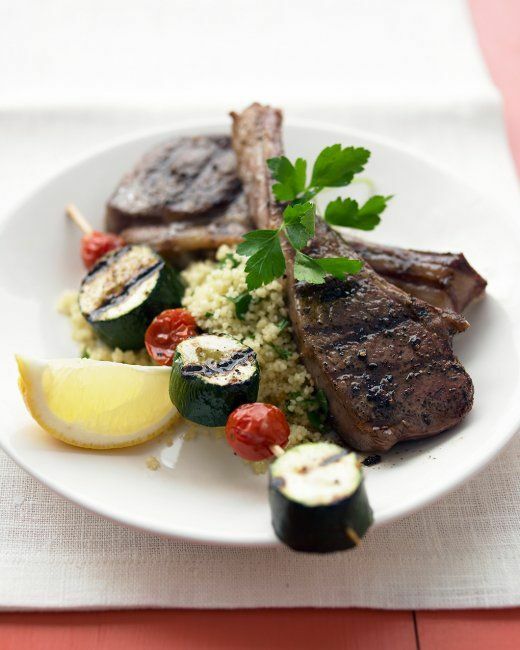 This weekend we are going to go for a different taste, more Mediterranean as the marinade will consist mostly of olive oil, pepper and garlic, served with a mint sauce and delicious couscous... YUM! Oh yum! Perfect for Spring! I need more lamb in my life. Yum–your preparation sounds heavenly! We're Greek, so there's always lamb at a religious holiday or family event!